One of LinkedIn’s most powerful sources of information, Signal allows you to conduct keyword searches of public updates across the entire network (not just among your own connections). The result: a terrific snapshot of who’s saying (and sharing) what on any particular professional topic that matters to you and your clients/customers. – Tip: regularly search LinkedIn Signal using different keywords, including your company name and words and phrases that are essential to your business/industry/market. You’ll be surprised by what you find. 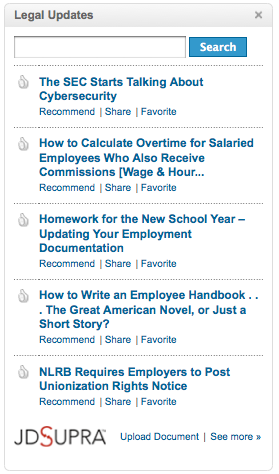 – Tip: read LinkedIn Today regularly; find and and follow topics that matter to you. What’s more, follow the actual sources of the news, too. It’s that easy. LinkedIn’s Company Profiles enables you to see, among other things: who has been recently hired or promoted at a particular company. You can also learn how you are connected to that company through its employees (“Oh, the CTO is connected to my old college friend through an association at…”). And you can follow news from and about a particular company. All helpful nuggets as you (pun intended) build profiles of key influencers in your particular market. LinkedIn’s question and answer platform is useful in much the same way groups can be useful. It’s a window into concerns and questions expressed by professionals in your field/market. Only, instead of joining groups to see what people care about, you can search or browse LinkedIn Answers to for a broader view, outside of your network. Savvy LinkedIn users participate in Q&A (ie, answer questions) to showcase their particular expertise; the forums also offer valuable information to people who simply browse through the collected questions. Important to mine that information. – Tip: regularly scan LinkedIn Answers. Search for questions related to the product or service you provide; or, browse Q&A by the many subject categories provided by LinkedIn. Don’t limit yourself to “open” questions. Spend some time scanning the “closed” as well. Legal Updates is JD Supra’s LinkedIn InApp, which we created to complement the type of business intelligence outlined above. Once installed, the application will deliver to you regular updates, alerts, and commentary written by lawyers and law firms around the nation, writing on legal developments and issues within your industry. The app automatically matches content to your profile, based on what we know about your profession/industry. And so, if you’re in HR, you’ll get regular Employment Law updates. If you’re in real estate, insurance, tech, finance, and so on, you’ll get updates relevant to those fields. Updates arrive in a module on your homepage, and weekly via email update. After the initial automatic matching of legal content to your field, you’re able to follow any other topics that matter to you. A full list of law new topics is available here. 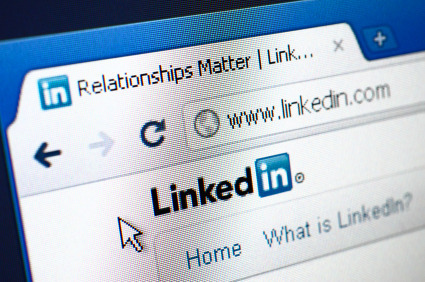 – Tip: install Legal Updates on LinkedIn for insights into legal developments and issues in your field. Browse the subject feeds and add whatever other subjects interest you. Also follow specific law firms whose work you read and value. Which are your favorite sources of business insight and intelligence on LinkedIn? Let us know in a comment here.